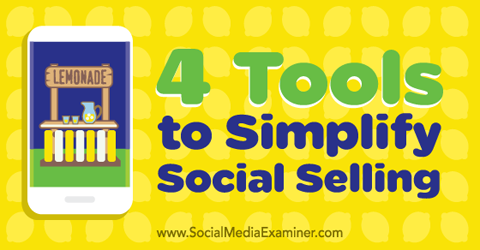 In this article you’ll discover four tools to simplify your social selling. Discover how to simplify social selling with these four tools. A key part of selling via social media is making first contact with users who are primed to buy. When the users you’re reaching out to happen to be influencers on social networks, the dividends are potentially higher. A big challenge, however, is breaking the ice and initiating a conversation. This is where Discover.ly comes in. It’s a social plugin for your browser that maps out the friends or followers you have in common with a potential connection. Use Discover.ly to identify any connections you have in common with influencers, making it easier for you to get an introduction to them. When you browse social networks with the Discover.ly browser extension active, you can see all of the friends you have in common with an influencer. You can then ask your shared connections for an introduction and get a leg up on converting the influencer to a customer. 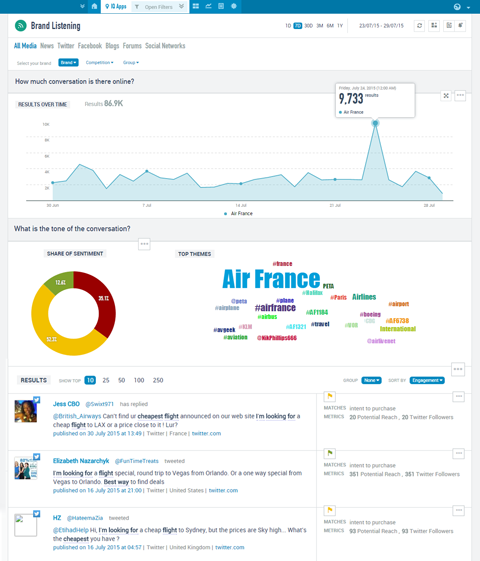 Discover.ly also offers social data about people, such as their latest tweets or recent pictures posted to Instagram. With this information, you can reach out to influencers in a way that creates a familiar bond, which (if nurtured) might eventually lead to real-world sales. Tracking what your target audience is saying about your brand is important. This information helps you be more knowledgeable when communicating with people and targeting potential customers. Response time matters when it comes to making a sale. Talkwalker helps you find out what people are saying about your brand so you can reach out to them in real time with the information they need to make an informed decision. Talkwalker also benchmarks your brand against the competition and shows you where you fall short and where you succeed. 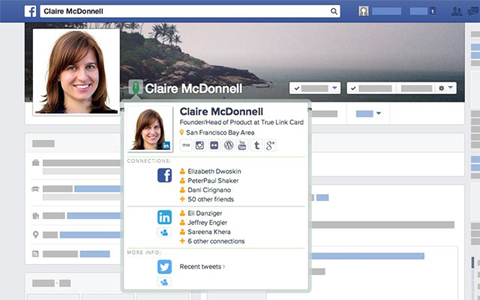 The alert system ensures you’ll receive notifications about online mentions of your brand, products and competitors. This information puts you in a position to act in a timely manner. If you take a cursory glance at the top social media networks, you’ll realize that excepting LinkedIn, every platform has a strong visual component to it. There’s a reason for that. According to an Ethos3 infographic, 90% of the information that our brains process is in visual form. Of all of the content that your target audience consumes, they actually retain 80% of the visual content, but only 20% of text-based content. If you’re selling a product, showing an attractive image of it is four times more effective from a retention perspective. What’s more, visual content gets shared on social media 40 times more often than plain text-based content. So if you produce an engaging image or infographic, potential buyers on social media are likely to spread the word on your behalf. 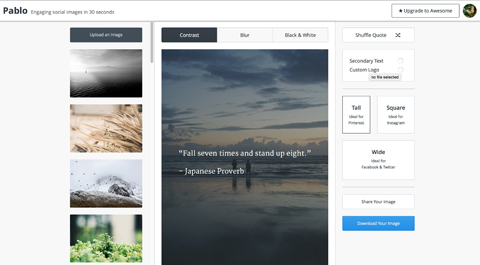 Pablo by Buffer is a great tool for creating original and shareworthy images to highlight your products and services. When you create attractive, branded images for your social sales posts you increase the chances that the people who see the images will share them with their own personal networks and increase your reach. You can also add a text overlay to your image. Imagine a product shot with a clever tagline and a price attached to it. Add a logo too if you want to ensure your brand doesn’t get lost in the conversation. Marketers today have a critical opportunity that previous generations lacked: the ability to respond in real time to user actions. You might already track visitors and offer personalized content and responses when they’re on your site. But what about social media? How do you respond to a statement like “Can’t wait to see what the new Windows 10 looks like. Gotta try it!”? 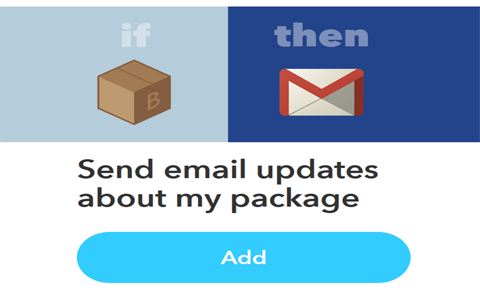 You can respond quickly to user activity on social media with IFTTT (If This Then That). This nifty tool allows you to automate tasks between different services and platforms. You can set up a recipe so when users take an action on one channel (Twitter, for example), it triggers a predefined action on another channel (like sending an email). There are some marketing and sales funnel tasks that can be safely automated. Set up IFTTT recipes to take actions based on the social media activity of your customers and prospects. 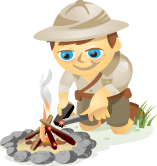 For example, you can create a recipe to have customer service posts on social networks routed straight to your Salesforce dashboard, putting customers in touch with salespeople who can help them out. Or you can send an email newsletter to your followers every time they like a product or add it to their wish list. Some marketers still treat social media as a free platform to advertise their brand and nothing more. If you make every social post only about your products or services, you’ll turn off your fans. Instead, make an effort to connect with your followers and listen to what they’re saying to get ahead of the competition. Giving one or all of these four tools a try will help you do just that. What do you think? Have you tried any of these social selling tools? What parts of the social selling process do you most want to simplify? What tools do you use for your business? Please share your thoughts in the comments below. 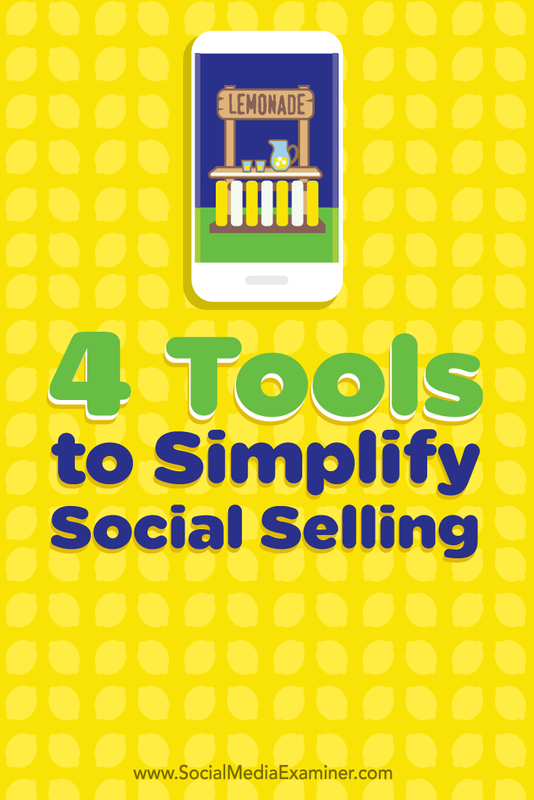 Four tools for simplifying social selling.